Tag Archive | "Dzhokhar Tsarnaev"
Dzhokhar Tsarnaev has been found guilty by a federal jury of the Boston Marathon bombings that took place on April 15, 2013. He orchestrated the bombings with his now dead brother, Tamerlan Tsarnaev who died in the search and capture by authorities. Over 250 people were injured and three died during the bombings. 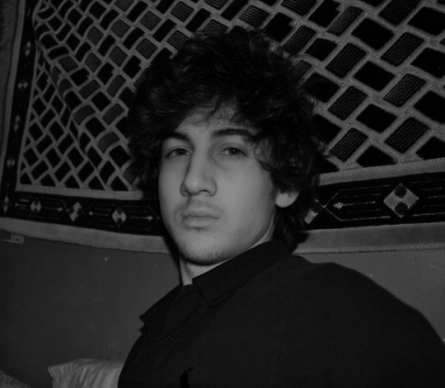 The defense tried to argue that Dzhokhar was under the influence of his brother. In a bid to save Tsarnaev from a death sentence, defense attorney Judy Clarke has argued that Tsarnaev, then 19, fell under the influence of his radicalized brother. Tamerlan, 26, died when he was shot by police and run over by his brother during a chaotic getaway attempt days after the bombing. “If not for Tamerlan, it would not have happened,” Clarke told the jury during closing arguments. Prosecutors, however, portrayed the brothers — ethnic Chechens who moved to the U.S. from Russia more than a decade ago — as full partners in a plan to punish the U.S. for its wars in Muslim countries. Jihadist writings, lectures and videos were found on both their computers, though the defense argued that Tamerlan downloaded the material and sent it to his brother. The next step will be the sentencing where the jury will decide if Tsarnaev should be executed or spend his life in prison.